A time honored tradition, each batch of Huber Premium is slowly brewed by hand and meticulously cared for by our brewers. For 64 years, this beer has been a rite of passage not just another great tasting beer. 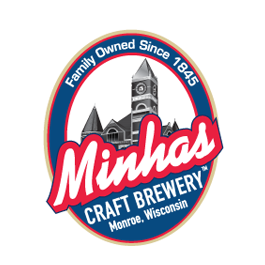 Brewed originally by Joseph Huber, a German Immigrant, we continued that old world brewing tradition by selecting the finest malted barley grown right here the Midwest US and the best hops from the Pacific Northwest. 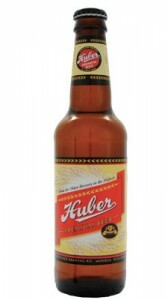 Huber is a clean-tasting, thirst-quenching beer, with a mild, malty aroma. It has a slightly mellow flavor, pleasant aftertaste, and is lightly hopped to go down smooth. 4.8% Alc./Vol. Huber was introduced in 1947 and has been continuously sold throughout the US mid-west for the past 64 years. This beer pours a clear dark straw color. The head is one inch in height, and recedes slowly into a quarter inch cap of foam. The aroma is of toasty malt with some nice floral hop notes. It is quite aromatic for an all-malt lager. The taste is more floral than the aroma with a solid malt undertone. The mouthfeel is right on for a medium-bodied beer. Overall, this is a very nice German Style American Lager that is easily enjoyed year around. Huber Premium Beer is available in the Midwest US only.